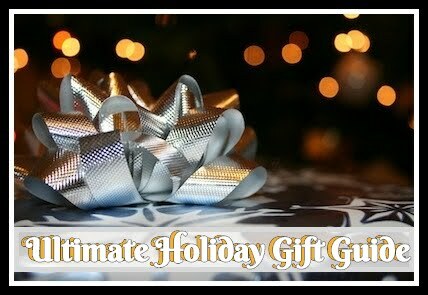 When I first think of Summer, I think of all the fun activities, events, and travel possibilities for me and my family. I thrive in the warm weather and so does each member of my family. With Michigan weather kind of skeptical most months, it seems like we've got limited time to enjoy the outdoors. So we use any excuse we can find to spend time outside. When it comes to holiday weekends, you can be sure to find us poolside celebrating with as many people as possible! 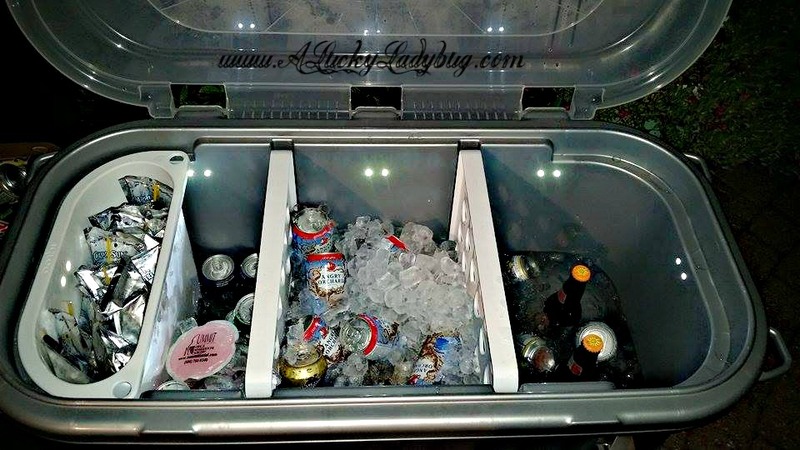 Constantly on the go for sporting events, beach trips, outdoor concerts, camping, and just plain entertaining out back by the pool, we are always in need of a good cooler. Ours, after years of use is not only old and beat up but its small and out of date. 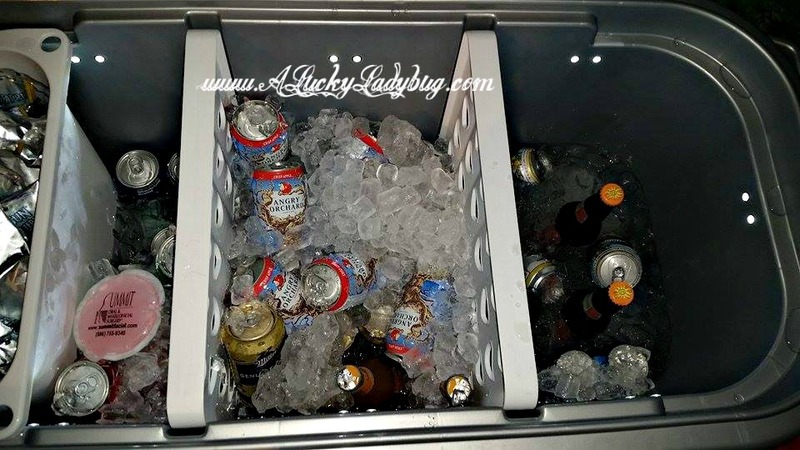 Knowing that a lot of these get together's and outings always include a variety of people and ages, we wanted to invest in a cooler with flexibility. 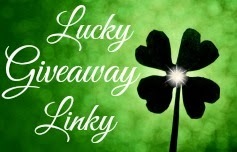 It needed to work for everyone as well as each themed event. With popular brand names like the Igloo, I feel like it's easily possible to find that flexibility and be prepared for anything. 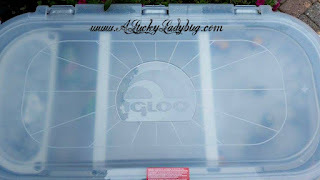 Thankfully, the folks over at Igloo understand what it like to be an entertainer, and they agreed to send me over their Igloo® Party Bar™ to review this Summer. 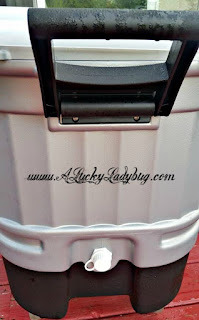 I could not have been more excited for a cooler and start planning for the parties and events all year long! This cooler or better called Party Bar™ is seriously awesome as it comes packed with everything you need to party hard AND all night long! Right away we set this bad boy up and had planned out what we would fill each divided section (and the caddy) with for our 4th of July weekend. This was beyond easy to set up so it was also mobile using it's detachable base with locking casters. 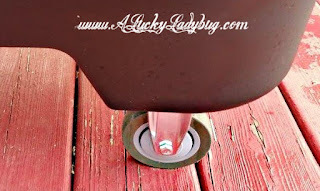 There are utility hoops on all four corners to easily hang a towel, trash bags, or other bar keeper tools. 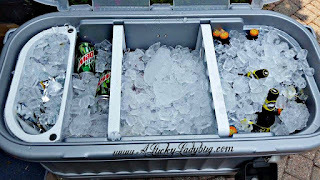 Initially, I was disappointed in the lid quality and was unsure of how well and long the cooler would keep items cool. Designed more with the purpose of being more of a grab and go bar instead of only a "cooler", the lid is removable for quick and easy access. 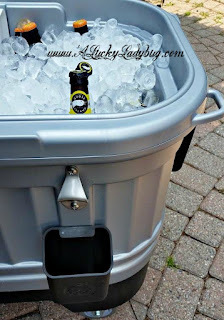 There is a convenient bottle opener in front with a catch bin for even faster drinks. Plus who likes having to sport around a bottle opener while they are worried about having fun!? 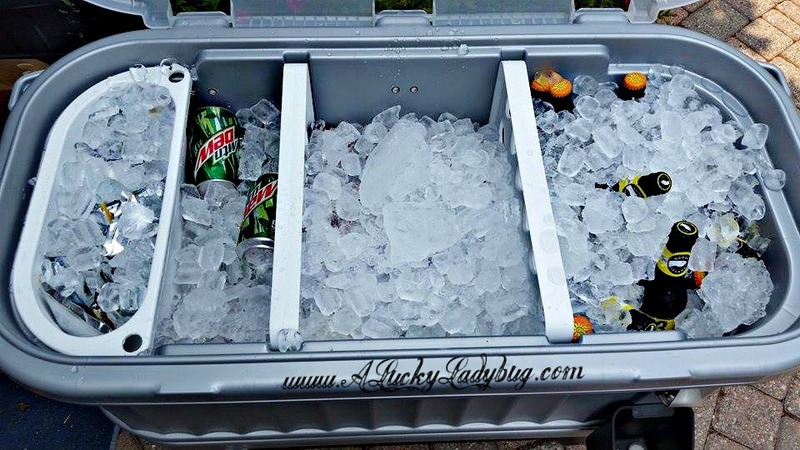 Powered with the exclusive LiddUp® LED light system, you don't have to worry about moving inside when the sun goes down or having to blindly search through freezing cold ice and water while looking for the kind of beverage your heart desires. There are 16 water resistant LED lights which use 4 AA batteries AND are heat free (so they won't melt your ice any faster). 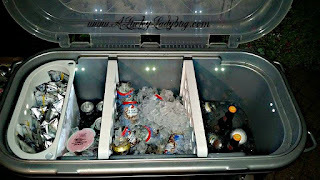 The glow of the lighting both efficiently lights the entire cooler even filled to the top with ice and other products as well as sets a fun party atmosphere when lit up at night. This can hold up to 212 cans (without the dividers in place) of whatever beverage you so choose. 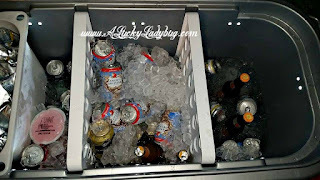 I would guess a lot of people might use the caddy for drink mixers but this worked perfectly to hold the kids capri suns separate from all the beer and wine we had shoved in the rest of the sections. The dividers helped a great deal as well since we were able to separate multiple kinds of drinks in each section so everyone knew where they were grabbing from each time they needed a refill. While, we all were quick to judge the lid and it's quality, I have to say it served it's purpose. 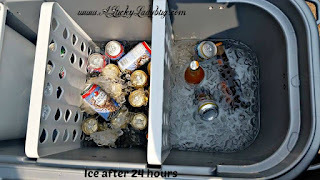 As you can see from my pictures, all items remained cold and there was still ice in the Igloo® Party Bar™ the following day so we could continue on all weekend. The fully insulated body definitely followed through with it's promise to keep cold! 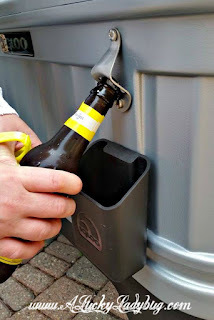 Still I would have liked to see some sort of locking mechanism on the front for when we have this tossed in our truck bed for all the tailgating we do. This way I could be sure the lid would stay securely on while driving. Not only are there two heavy duty handles for easy grip and transport but there are even extras for clean-up like the threaded drain plug which is hose compatible. 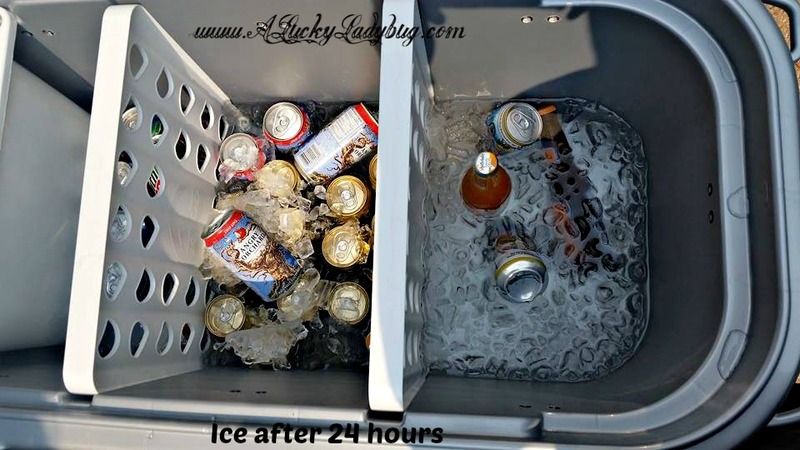 My sister commented first on this as she emptied the water the 2nd day to make room for more beer and ice. She's been a bartender for years and said this was the most convenient way to get something like this clean without ending up soaking wet or having to stand nearby waiting while it drains slow as molasses. This was definitely a hit over the weekend as well as the most useful device I could own for all the entertaining we do. It will be at every party, each Tigers Opening Day, and you can bet tailgating at any concerts. I also can't wait for our Halloween Party even though it's an indoor event, we could definitely use the Igloo® Party Bar™ for serving all our guests. I'm personally, quite obsessed with the sleek professional look of this as I walk by it in our bar/game room each day! 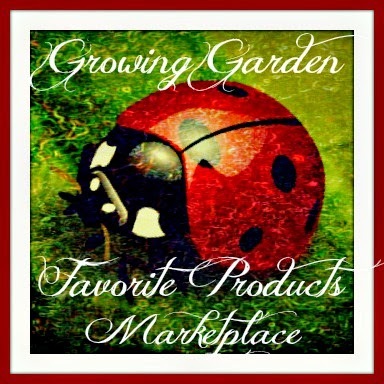 We've been sharing everywhere we go all the benefits it's got. Recommendation: I think the price for this type of heavy duty product is very reasonable. If you entertain even a half of what we do (which is weekly), I would definitely suggest this product. It works perfect for even those who only entertain on occasion for things like grad parties. Igloo has not only thought of everything when it comes to the Igloo® Party Bar™, but they made sure it was all top quality!